Lines from Linderhof: The Magical City of Scott . . . .
That are just beginning to bloom! And it was good to have lunch and dinner there today! For Scott City filled the room! Your breakfast room is very pretty, nice outside view too! 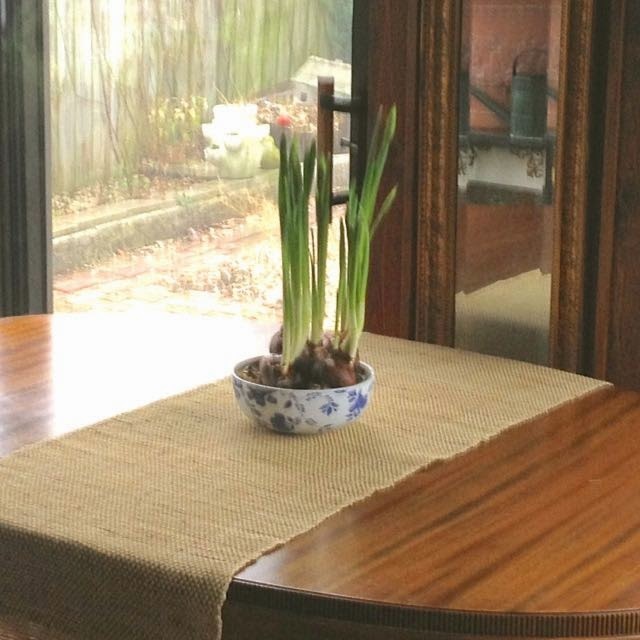 I like your paperwhites on the table, I need to get some of those, it is always so nice when they finally bloom. Nice for a change to have the houses set up and such a beauty to look at. But, now back to more normal everyday living. Both are very nice. Enjoy your paperwhites! I adore that you're swapping out the breakfast room chairs! I've been doing a bit of 'Musical Chairs' on my side of the Prairie, as well, dear friend!!! 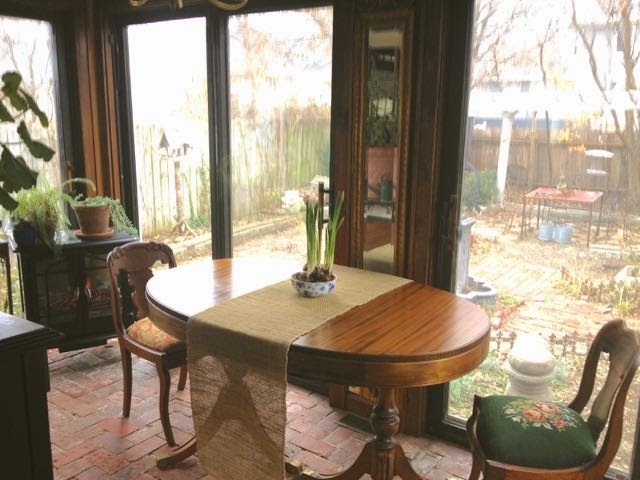 I would love to find #4 French dining chairs in pristine condition!!! Perhaps, when I'm not on the hunt, I'll come across them!!! I'll be watching for a post of your newest endeavors with the chairs!!! I think the timing of your paperwhites is acually spot on!....once all the colour of Christmas has been put away it's nice to have the fresh white of the flowers as a foil for the polished wood. I look forward to seeing the rearrangments of chair! 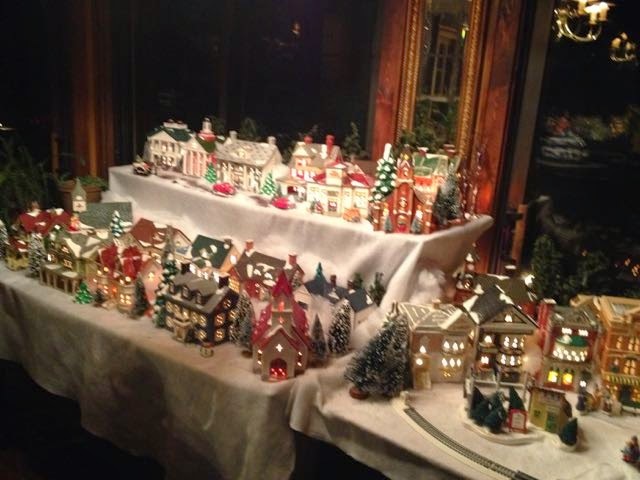 I'll bet Lucy was enchanted by the little houses! I need to pot up some more paperwhites today. I bought a couple of those blue and white bowls the Christmas before last after I saw them at Linderhof. 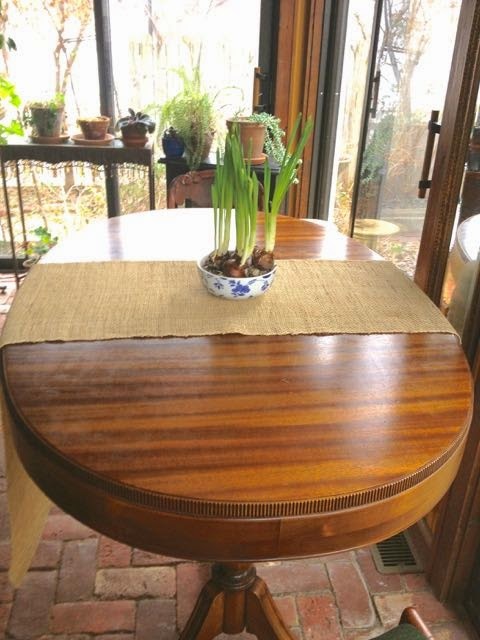 It looks really clean and fresh on your breakfast room table.